I don't know if it works, but I'd imagine so since it was still in the junkyard Jeep. 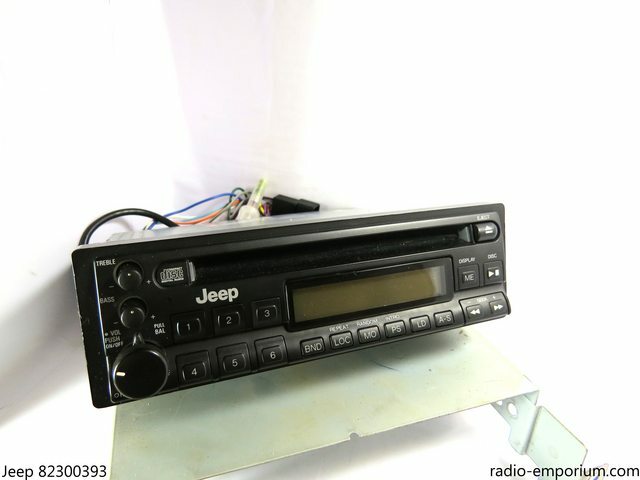 I would definitely be interested in some work do to it or another OEM radio if you ever got around to doing the Bluetooth add on. if you ever got around to doing the Bluetooth add on. Sorry to rain on your hopes and dreams, but I can't and won't be offering Bluetooth pre-installed in a radio. As to why, it's complicated. The truth of the matter is that a $13 dongle you can get on Amazon performs just as well as the Bluetooth installed in my radios. I and a number of customers have had excellent luck with just plugging in a Bluetooth dongle to the aux jack. While I don't doubt the quality of either, I just would like something less noticeable. So you have no interest in this radio then? I'd not I'll probably just toss it up on eBay for someone to enjoy. I'd like one like this. Dun-dun-dun-dun... the myth, the legend. 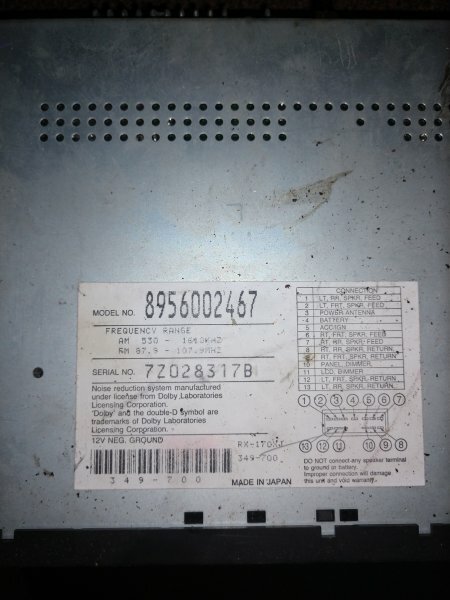 The Mopar 82300393 CD player. Also offered as a pull-out version (-0392) and as a Chrysler-labeled version for other vehicles in the lineup (-0394). Not surprisingly, there is very little information out there about these due to their extreme rarity. Internally, they share a significant number of parts with the RX-173, and the internal layout is what I would describe as "an RX-173 run through a blender" - lots of surface-mount components are used, and we are beginning to see more advanced features than on previous analog radios. Unfortunately, these have a lot of problems - the faceplates are quite fragile, the power supply is fragile, the FM tuner requires removal for any service and likes to mute itself, and I'm pretty sure the CD player mechanism is impossible to find parts for, although the construction is very similar to some 1990s Mitsubishi decks. Build quality is a touch below the more mainstream Mitsubishi-made Jeep radios. Their rarity was no doubt helped by their price - roughly $300 in 1994 - about $500 in today's money. I have a RX-173 that the cassette is playing dead on...any ideas? Here's my canned answer for any cassette related problems on these. The cassette mechanisms in these radios are overcomplicated, unreliable, and overall extremely annoying to work with. They have roughly 100 parts, about 5 different failure points, they are next to impossible to disassemble, and the parts just do not exist. I would estimate that about 25% of the radios I get in have a cassette mechanism that works. The only problems that can really be fixed on them are speed adjustment, and if the tape loading mechanism cycles constantly. 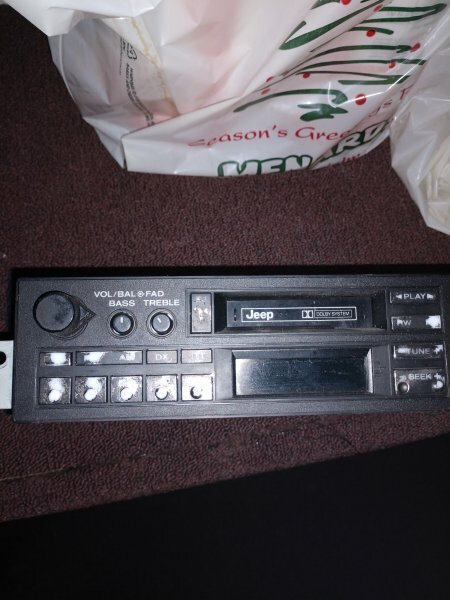 As to what you can do... if you find a parts radio, you could swap the cassette player over. The RX-173 mechanism is specific to that model of radio. I do not have parts on hand to fix them. 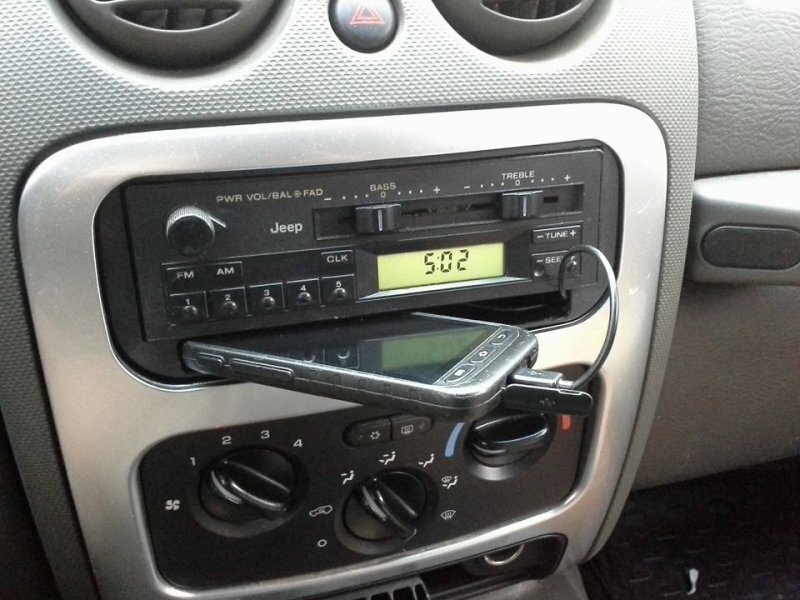 Ultimately, my answer to "how do I play cassettes with my Jeep factory radio" is to digitize your cassettes. 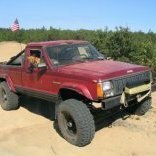 How about a Jeep Liberty radios in a Comanche, RB1 model? 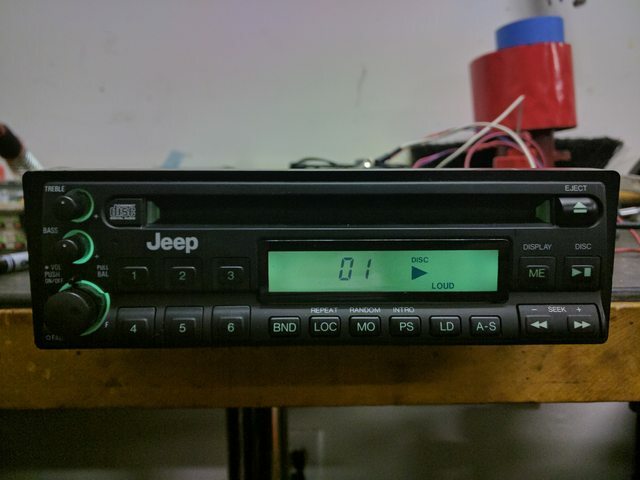 How about a Jeep Liberty radios in a Comanche, RB1 model﻿? The cool part is it has JEEP the screen; I was referring to the wiring harness and connectors? I actually went the other way and put an old MJ radio in my Liberty. with a Minuit-built AUX jack so I can play tunes from my phone. I would have been perfectly happy to discuss this with you in private until I started finding copies of my radios on eBay. I do not divulge this information except to very highly trusted individuals. Other than the cutting, I'm pretty sure those need a serial bus connection to work. I stick to stock or stock-like installations so I'm probably not the right guy to answer this. 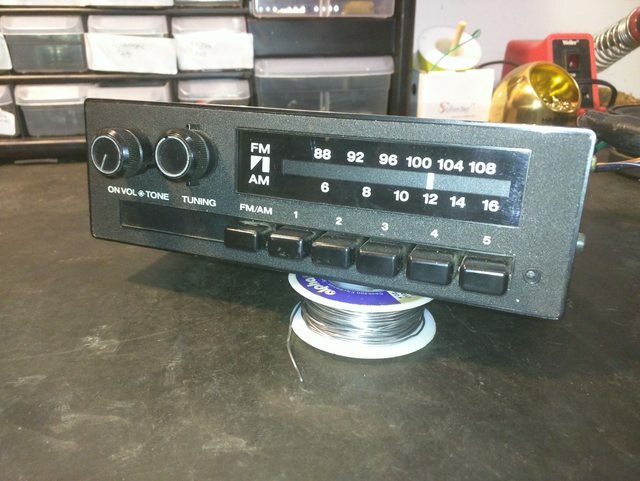 Just looking at a 1.5DIN Chrysler radio, you'd have to do some major cutting to the dash to make it even fit, let alone make it look good. As for the wiring, everything would be relatively easy other than the serial bus. They pop up every now and then. You've gotta be on your toes because the people who know they exist snap them up very quickly. Speaking of the CD player, it's here and it's a mess - but it does have the mounting bracket! The standard MJ radio bracket will work, but it's a PITA getting it to sit right in the hole. I've got a template that works pretty well if anyone needs it down the road. Time to fill the list out a little bit, with some of the less popular old stuff. Not considered worthy of an actual model name for some reason, the 3238861 is what you get when you put an RX-161 into a hydraulic press and smash it until it's as small as it can possibly be. Do you need another to add to your collection? No sure if it works. It wasn't in the truck when I bought it. I will gladly UPS it to you if you would like it. Just send me a PM and send Pete whatever it's worth. Since we've exhausted most of the "normal" Jeep and AMC radios (and certainly the common ones), we'll have to move on to some weirder stuff. I hope you guys are ready for something a little bit out of the ordinary, because I have exactly that in the pipeline. Check this space in a week or two for weird stuff. - Korean-built copies of the AR-7650 and RX-135, sometimes found with the '88-'96 connector and "Jeep" stenciled on the front rather than the AMC triangle. I have examples of both, but neither are currently working. To add it to the list, I'd really prefer to have a working example to play with and a service manual. Cliffs: I don't really suggest using these. - The AMC AM-only radio, the AR-3900 and AR-3800. - The '84 and '85 XJ DIN-style shaft radios, the RX-758 and RX-752 and maybe some others. I have an RX-758 belonging to a CC member in for repair right now and a service manual, so this one is probably next. - I intend to make separate entries for the 1985 versions of all AMC radios at some point, rather than wrapping them up into the entries for the '86-'87 versions. - Anything else I'm forgetting. As a side note, for some radios, I have access to some more detailed information such as signal-to-noise ratios, AM-FM tuner sensitivity, and some other things depending on the model. Would that be of interest to anyone if I posted it up with the rest of the info, or would it just be clutter? would this info help make a better decision about which to use? Maybe, but probably not really. The numbers aren't very surprising and are what you'd expect. The newer radios have slightly better specs pretty much across the board.